In memory of Ray B. Krone. Preface. Prediction of cohesive sediment transport modelling and bed dynamics in estuaries and coastal zones with integrated numerical simulation models (J.E. Berlamont). 1. COSINUS tasks A through D summaries. Interaction of suspended cohesive sediment and turbulence (E.A. Toorman et al.). 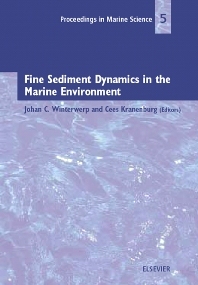 Flocculation and settling velocity of fine sediment (J.C. Winterwerp et al.). Dynamics of Concentrated Benthic Suspension Layers (J.C. Winterwerp et al.). Measurement and modelling of the properties of cohesive sediment deposits (M.P. Dearnaley et al.). Numerical simulation of cohesive transport: intercomparison of several numerical models (D. Violea et al.). 2. High-concentrated mud suspensions. Tidal asymmetry and variability of bed shear stress and sediment bed flux at a site in San Francisco Bay, USA (M.L. Brennan et al.). Physical modelling of entrainment by a Concentrated Benthic Suspension (A.W. Bruens et al.). Interfacial instabilities at the lutocline in the Jiaojiang estuary, China (J. Jiang, A.H. Mehta). CBS layers in a diffusive turbulence grid oscillation experiment (M. Mory et al.). Modelling of turbulent flow with suspended cohesive sediment (E.A. Toorman). Scaling parameters for High-Concentrated Mud Suspensions in tidal flow (J.C. Winterwerp). 3. Flocculation and settling velocity. Direct observation of the formation and break-up of aggregates in an annular flume using laser reflectance particle sizing (A.J. Bale et al.). The turbidity maximum in a mesotidal estuary, the Tamar Estuary, UK: I. Dynamics of suspended sediment (K.R. Dyer et al.). The turbidity maximum in a mesotidal estuary, the Tamar Estuary, UK: II. The floc properties (K.R. Dyer et al.). A comparison of floc properties observed during neap and spring tidal conditions (A.J. Manning, K.R. Dyer). Particle size distribution in an estuarine turbidity maximum region (S.B. Mitchell, J.R. West). On the geometry of cohesive settling flocs (P.D. Scarlatos, H.-S. Kim). Comparison of flocculation models for applied sediment transport modelling (J.R. Spearman, W. Roberts). In situ measurements of settling velocity and particle size distribution with the LISST-ST (M. van Wijngaarden, J.R. Roberti). 4. Processes in and on the bed: consolidation and erosion. On the erodibility of fine-grained sediments in an infilling freshwater system (T.J. Anderson et al.). Gas bubble nucleation and growth in cohesive sediments (W.G.M. van Kesteren, T. van Kessel). Erosion properties of mud beds deposited in laboratory settling columns (D.G. Lintern et al.). Strength modelling of consolidating mud beds (L.M. Merckelbach et al.). Description of vertical exchange processes in numerical mud transport modelling (O. Peterson, H.J. Vested). Simulation of biogenic sediment stabilisation by heterotrophic bacteria in an annular flume (J. Prochnow et al.). The influence of an extracellular polymeric substance (EPS) on cohesive sediment stability (T.J. Tolhurst). 5. Field observations on mud dynamics and instrumentation. The seasonal dynamics of benthic (micro) organisms and extracellular carbohydrates in an intertidal mudflat and their effect on the concentration of suspended sediment (E.M.G.T. de Deckere et al.). Interaction of submerged vegetation, hydrodynamics and tubidity; analysis of field and laboratory studies (E.J. Houwing et al.). Sedimentation in a coastal mangrove system, Red River Delta, Vietnam (B.M. Janssen-Stelder et al.). A preliminary study on using acoustic waves to measure high resolution marine sediment bed structure (J.P.Y. Maa, D.-Y. Lee). An unusual turbidity maximum (B.W. Nelson). Near bed sediment transport in the Itajaí-açu River estuary, southern Brazil (C.A.F. Schettini). Field study and modelling on the characteristics of bed mud formation processes at the Rokkaku River (R. Watanabe et al.). 6. Numerical modelling. Numerical simulation of cohesive sediment transport in the Loire estuary with a three-dimensional model including new parameterisations (C. Cheviet et al.). 3D application of the continuous modelling concept to mud slides in open seas (P. Le Hir, F. Cayocca). The influence of fresh water distribution on SPM transport in the Dutch coastal zone (J.M. de Kok). A process-based sand-mud model (M. van Ledden). 3-D numerical modelling of mud and radionuclide transport in the Chernobyl Cooling Pond and Dnieper - Boog Estuary (N. Margvelashvili et al.). Episodic transport of organic-rich sediments in a microtidal estuarine system (F.G. Marván et al.). An adaptive finite element solution for cohesive sediment transport (D.A. Mayne et al.). Numerical modelling of mud transport processes in the Tamar Estuary (O. Petersen et al.). Dynamics of the turbidity maximum in the Changjiang Estuary, China (Z. Shi). Numerical assessment of source and sink terms for cohesive sediments (C. Schweim et al.). Modeling the sediment concentration profiles at the Amazon Shelf (S.B. Vinzon et al.). Contributing authors. Cohesive sediment, or mud, is encountered in most water bodies throughout the world. Often mud is a valuable resource, synonymous with fertile land, enriching the natural environment and used as an important building material. Yet mud also hinders navigation and consequently, dredging operations have been carried out since ancient times to safeguard navigation. Unfortunately, many mud deposits are now contaminated, endangering the eco-system and increasing the costs of dredging operations. The transport and fate of mud in the environment are still poorly understood and the need for basic research remains. This text contains the proceedings of the INTERCOH-2000 conference on progress in cohesive sediment research. It was the sixth in a series of conferences initially started by Professor Ashish Mehta in 1984 as a "Workshop on Cohesive Sediment Dynamics with Special Reference to the Processes in Estuaries". During these conferences the character of the first workshop has always been maintained, that is, small scale and dedicated to the physical and engineering aspects of cohesive sediments, without parallel sessions, but with ample time for discussions during and after the presentations, and followed by a book of proceedings containing thoroughly reviewed papers. INTERCOH-2000 was integrated with the final workshop of the COSINUS project. This project was carried out as a part of the European MAST-3 programme, and almost all European cohesive sediment workers were involved. INTERCOH-2000 focused on the behaviour and modelling of concentrated benthic suspensions, i.e. high-concentrated near-bed suspensions of cohesive sediment. Special attention was paid to: sediment - turbulence interaction; flocculation and settling velocity; high-concentrated mud suspensions; processes in the bed - consolidation; processes on the bed - erosion; field observations on mud dynamics; instrumentation; and numerical modelling.